It was a sleek, modern, touch-screen device that Apple introduced to the world in 2007 -- but it wasn't the iPhone. On September 5, 2007, the company launched the iPod touch and if it didn't get the same attention then, perhaps it should have. For in retrospect it was a watershed moment for Apple. Up until then, the iPod in its many forms had been an incredible success that genuinely changed both Apple and the world. It was a music player that had transformed Apple from a computer company into a consumer electronics one and everybody had one. That ended in 2007 when the iPhone was introduced and, seemingly overnight, replaced the iPod completely. Yet if the world moved forward with iPhones, Apple chose to bring some of that new technology back to its music player lineup. The iPod touch wasn't really an iPhone that couldn't make phone calls but it was close. It had the same multi-touch display and, most importantly, it had the same apps. When you had a Wi-Fi connection, your iPod touch could run any app and do almost anything an iPhone could do -- but for substantially less money. The iPod touch would never reach the heights of previous models and it could never match the iPhone for success in any measure. Only, this isn't a failed product or a shallow copy of the iPhone. The iPod touch isn't the last gasp of the iconic music line, it's the last hurrah. You can still buy the iPod touch today but it's a model that has quietly been through consistent revisions and improvements. In 2006, the last full year before the arrival of the iPhone, Apple sold 39.41 million iPods worldwide. This was the age of the clickwheel, when the line also included the iPod nano, and every iPod on the market had a full-color screen. Technology journalist Steven Levy published a book called "The Perfect Thing: How the iPod Shuffles Commerce, Culture, and Coolness," in October 2006. At that time, the iPod was a major part of Apple's business and has become a worldwide phenomenon. Steve Jobs said on stage in September 2007 that 110 million iPods had been sold, altogether, up to that point. However, he said that months after the arrival of the iPhone which essentially had all of the iPod's functionality in a new and better product. 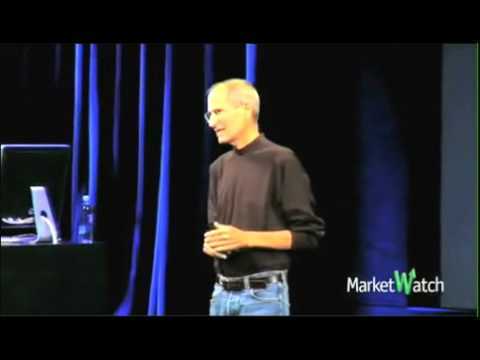 The first thing Jobs ever said when describing the iPhone was that it was "a widescreen iPod with touch controls". This was part of his launch speech where he went on to say that it was also a phone and a "internet communicator". So it wasn't and shouldn't have been a surprise when he introduced the first iPod touch. The first-generation iPod touch arrived at an Apple keynote event on September 5, 2007, one that was touted as focused on music. As the previous iPods were shown on a screen behind Jobs, he stated that "this is our current iPod lineup, and today we are going to refresh or replace every single product in this lineup to get ready for this holiday season." After introducing refreshes of the iPod Shuffle and iPod nano, plus an what was described as enhanced version of the iPod Classic. Jobs unveiled the latest evolution in the iPod range. "When we introduced the iPhone in January, we said it was the best iPod ever. And iPhone owners agree with us," Jobs said. "People have been asking us, and wondering, when are you going to bring this technology to an iPod? Well the answer to that question is we're going to do it today, and this is what the product looks like. It's called the iPod touch." The original iPod touch featured, like the iPhone, a touchscreen, as well as the same app-icon-based design. It was also the first iPod to offer Wi-Fi wireless networking. The iPod was 4.3 by 2.43 inches, and 8 mm thin, with a 3.5-inch display. It started at $299 for the 8GB version, with a 18GB edition going for $100 more. The first iPod touch did have some limitations beyond not being able to make phone calls. Just as with the iPhone, it shipped originally with only apps made by Apple -- and no way to add third-party ones at the time. In AppleInsider's review, we rated the first iPod touch 4 stars out of 5. We noted that the original iPod touch was not a pure "iPhone without the phone," as it lacked Bluetooth capability as well as Mail and other apps. But we praised its thin but solid construction, its scratch-resistant metal face, and its media playback features. "Being able to jump on the web or the WiFi store gives it a big jump in features over the existing iPods, introducing a luxury high end for Apple's lineup of media players," we said. "Just don't expect it to be an iPhone without the phone, because it most certainly isn't." And with the release of the iPod touch and throughout the product's life, a great many people mistakenly referred to it as the "iTouch," even though Apple has never used that name for the product. After the iPhone 3G came along in early 2008 along with the App Store, that year's iPod touch once again incorporated changes that had been introduced in the previous iPhone. 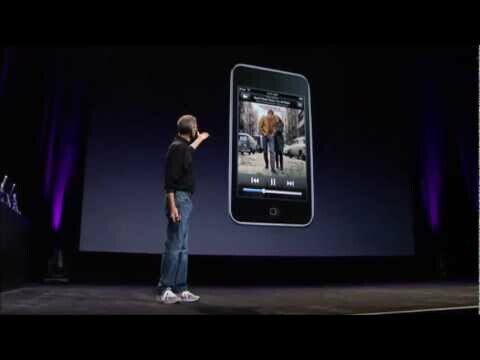 Introduced, once again, at a "Music Event" in San Francisco, the second iPod touch arrived September 9, 2008. The new device was touted as even thinner than the original, while adding volume controls on the side and a built-in speaker, as well as the App Store. The introduction of the App Store also meant the large-scale arrival of gaming on the iPod touch, leading Jobs to describe the second generation model as "the funnest iPod we've ever created" in the introductory press release. The second-generation iPod touch also offered a lower introductory price point, to $229 for the 8GB model, with 16GB and 2GB versions also offered for $299 and $399, respectively. "The 2008 iPod touch inches closer to the iPhone line while retaining its iPod branding," AppleInsider wrote in our review of the second generation iPod touch. We praised the new device for filling in the gaps, both in hardware and software, left by the first edition. We again gave the second-generation iPod touch four stars out of five, praising its thin and sturdy construction, screen, software features and App Store support. However we criticized its easily scratchable back, its lack of Bluetooth and GPS, and its subpar speaker. "It's hard to find much to complain about, and given that the [iPod touch] has shared so much technology back and forth with the iPhone, it's not hard to understand why. What will be interesting is how Apple might manage to top itself, as [it] doesn't seem to have much potential for getting smaller." The third iPod touch arrived a year later and, again, in September. It was the same event that saw Steve Jobs return to the stage for the first time in nearly a year. On September 9, 2009, he came back from a medical leave of absence from Apple. In introducing the new iPod touch at that event, Phil Schiller announced that Apple had sold 20 million iPod touch devices in the two years since the product was first introduced, not far behind the 30 million iPhones that had been sold up to that point. While the form factor wasn't any different from the previous iPod touch, the 2009 lineup dropped the entry price to $199 for the 8GB model, while offering 32GB and 64GB versions for $299 and $399. In the keynote, Apple heavily emphasized the product's utility as a gaming machine, to the point where it chose not to include a camera, even though that year's iPod nano included one. The January after the arrival of the third iPod touch, Apple introduced the first iPad, which shifted the focus a bit away from the iPod. Even so, Apple introduced another new line of iPods in September of 2010. And that year's iPod touch was a much more significant upgrade than the one before it. At the keynote event, the company introduced iOS 4.1, along with a new version of iTunes that included Apple's ill-fated musical social network, Ping. But also included were all-new designs for each model of iPod. As for the iPod touch, Jobs declared that it had become the most popular iPod, overtaking the nano, as well as the top portable game player, with over 50 percent market share in both the U.S and worldwide. There was a lot new in the fourth-generation iPod touch. It offered a Retina Display, which had debuted earlier in that year in the iPhone 4. It was thinner than the earlier iPods at just .28 inches thick. It included the iPhone A4 chip, and a front-facing camera -- making FaceTime possible -- as well as a rear camera. The line started at $229 for the 8GB model, also including $299 for the 32GB version, and $399 for 64GB of capacity. While iPod sales dropped slightly year-over-year in both 2009 and 2010, the category took a big plunge for the first time in 2011, as the iPhone and iPad gained further purchase with Apple consumers. "Apple's iPod dynasty, which ruled over the past decade in the field of portable media players, contracted significantly in fiscal 2011, dropping from last year's sales plateau of 50.3 million down to 42.6 million units this year," AppleInsider wrote at the end of 2011. "That didn't offer any hope for competitors however, because Apple essentially had just converted many of its iPod sales to even higher margin iOS devices running the iPod app." Reflecting Apple's focus, September 2011 had no new iPod touch. That was the first time in four years that the model hadn't been updated -- and it wouldn't be for another year. The fifth generation iPod touch was introduced along with the iPhone 5 on September 12, 2012. With Steve Jobs having died, it was the then head of iOS product marketing Greg Joswiak who introduced the iPods at that 2012 keynote, while vowing "some exciting changes." It was the thinnest and lightest iPod touch yet, but the biggest change was the lightning connector, which replaced the 30-pin connector used in every iPod touch up to that point. It also featured iOS 6 and ran on an A5 chip. That model only came in 32 GB and 64 GB models, priced at $299 for 32GB or $399 for 64GB. It was also available in several new colors, including silver, pink, yellow and blue. "Apple's latest iPod touch is its best ever, with a real camera, bigger and better screen, enough horsepower to keep up with the entirety of iOS 6 and fun new colors that should attract new buyers to the iOS platform via a product that Steve Jobs once called "training wheels" for the iPhone," AppleInsider said in its review. The fifth-generation model would be the last new iPod touch for three years. iPod sales continued to plunge, falling from 35.17 million in 2012 to 26.38 million in 2013 to just 14.38 million in 2014, according to Statista figures. But that didn't stop Apple from introducing one more iPod touch, in July of 2015. Arriving in the summer instead of the fall for the first time, the sixth iPod touch also didn't debut at a keynote, but was rather announced via press release. It arrived a little over a month after the 2015 WWDC, and weeks after the launch of Apple Music. Following the iPhone 6, which had arrived the previous fall, the new iPod touch ran iOS 8 on the A8 chip. It featured an 8 megapixel iSight camera, while its dimensions were the same as the fifth-generation model. The new iPod touch started at $199 for the 16GB model, $249 for the 32GB and $299 for the 64GB. In a review-style comparison between the iPhone 5s and the new iPod Touch, AppleInsider noted that "For most users, the choice between an iPhone 5s and an iPod touch will be a no-brainer: Being always connected is one of the key reasons anyone owns a smartphone. But if you're in a position where you're considering getting an iPod touch over an iPhone 5s, and the connectivity limitations of the iPod touch are not a deterrent for you, Apple's new media player is an extremely compelling, affordably priced device." And that was the last time Apple introduced a new iPod of any kind. The company killed off the iPod nano and Shuffle in July 2017, following the death of the iPod Classic in 2014. The iPod has gradually become less and less important to Apple's bottom line, and in early 2015, the company stopped including iPods as a line item in its quarterly earnings reports, moving iPods to the "other" category. On Apple's website, there's no longer a dedicated header for iPod, as it's merely one subsection under "Music," along with Apple Music, iTunes, HomePod and Music Accessories. Yet despite no new hardware for three years, there's been little in the way of rumor that Apple was thinking about killing off the iPod line altogether. In September of 2017, some code in iOS 11 hinted at the possible existence of a 7th-generation iPod touch, one that would include Face ID. But no such product ever arrived. The iPod touch is a product that's lasted more than a decade, and while it's considerably less important to Apple's identity that it was at its height, it's still the least expensive iOS device, and an ideal way to introduce newcomers to the Apple ecosystem. I got an iPod 4th Gen. After awful LG touch screens it was a revelation. It showed me what a good touch screen could do. Literally I would not be using an iPhone, or any smartphone for that matter, today if it weren't for my couple of years with my iPodTouch. It also has a soft spot for me. My touch was with me through my major cancer surgery. With a "This is not a phone" sticker on the back it gave me access to games, and videos, and music, while I was in the hospital bed. Would have gone stir crazy without it. The iPod touch has been great for my two kids. Looking forward to installing iOS 12 on them, which one said "NOooooo...", and the other declared: "Worst. Update. Ever" when I described Screen Time to then. We still use hundreds of iPod touch 6th Gen. in our Hotels, to let our Room Attendants and other Staff know about: next to clean Rooms & Tasks to perform through Service Apps, but also stay in touch with them via Voice over IP Apps + Text Messaging. So a big chunk of the Hospitality Market would love to see a 7th Gen. iPod to be released. If Apple would do a 3 year Refresh Cycle, I would be fine with that! Otherwise there would be only the iPhone SE and hopefully its future Successors as an Alternative, even though a pricey one... compared to an iPod touch. But also Parents may more likely provide an iPod touch to their Kids than handing over an iPhone to watch Movies, However in Hospitality we also make use of the iPad mini – which in turn would be also a good Device for the Kids on Travel. Just update the iPad mini, with a stronger Processor, keep the Touch ID & perhaps add a better Camera for Snapshots. The sole 128GB Version would continue to be fine for this Device Category. The regular sized iPad is too large and a Plus sized iPhone usually too expensive for large Scale Roll outs. The best alternative to an iPhone, the lineup is amazing no doubt. Using one since 8 years strong. I’ve never had bugs with my iPod Touch. Such an amazing little Apple device. And coming from Windows the lack of bug astounded me. Everything worked the way it’s supposed to. Such a new concept for PC user. Technically there was one more iPod touch released after the sixth generation when Apple added a 128 GB version (having eliminated the 16 and 64 GB options). I'm rocking the iPod Classic and iPod Nano (5th) with clickwheel. I don't have a carplay touchscreen radio in my 2010 Xterra. Siri is dumb as a brick with vocal commands and, even then, I'm in a lot of areas that do not have cell reception so she is dead. I don't want to take my eyes off the roadway to fumble with the screeen. With a clickwheel I can feel with my fingers easy to scroll forwards, backwards, or in menus. Thank you for this article. It was a nice look back. I have the latest 128GB iPod Touch and it’s good in a pinch when I don’t have my iPhone with me. What I don’t understand is why the Low Power Battery Feature isn’t offered with the iPod Touch like it is on the iPhone. It would really come in handy since the battery life stinks since the device is so thin. I was thinking. This is what the article was missing. Also the price points for those is $199 and $299, respectively. The iPod Touch 6th generation is a good device for iOS app testing, app debugging, and iOS beta evaluation. With 128 GB of memory it can also hold a substantial number of music tracks on the device and survive long plane rides on a single charge. I've got a 16GB 6th gen that was left over from a project at work that I keep in an old speaker. I only have a couple apps on it. I mostly just use it for Apple Music and occasionally I'll use Safari to look something up if I'm near it and don't have my phone on me. I just went to use it the other day and noticed the battery has expanded causing the screen to split away from the body. I looked up how to replace it myself but it involves soldering unlike battery swaps on the iPhone. Apple charges $80 to replace an iPod battery. I'm going to check a few local shops and see what they would charge but if they're going to charge more than $20-30 bucks it might be, sadly, time to decommission my last iPod. While I have an use an iPhone 8, I'm also a daily user of a 128 GB iPod 6 primarily for listening to music as it more storage capacity for the FLAC files I prefer to Apple's formats. Consequently, the iPod is far more convenient for me than using my phone for the same purpose. I'll continue to use my iPod until it dies and I can no longer get it fixed or replaced. Personally, I would love to see an updated and larger capacity iPod though I suspect that's not likely to happen at this point. At the moment, I'll proably buy a new iPod while as insurance "just in case." They totally screwed up by omitting volume buttons on the 1st gen. Even $80 sounds like very little to get your IPT working again. However, the repair will probably involve more than just replacing the battery! Keep your eye for iPhone SEs... discounted they can run as little as $100 and you don't have to activate cell service. Voila! Instant, modern IPT, with better camera, better battery life (the IPT is horrible is you go on line), and better speed. The iPod Touch was my gateway into iOS (or even the Mac world plus apple watch!) I bought a second generation at discount for 99$ because I was so curious to try out Apps! I would say it was a great sell for apple, after just two weeks of use I knew I COULD NOT live without an iPhone! Know I'm all invested in the ecosystem and will only buy Apple-things. Which will make me sad if they discountinue it. I wish they would upgrade it with a new processor at least. And frankly, it's annoyingly hard to listen to apple music. This summer I worked at a youth festival and wanted to have music in the workshop area I had. Thing is you need an iPhone or an iPod touch fifth generation to listen to Apple Music. And I couldn't leave my iphone of course. I think they should introduce some less expensive iPod again that can play Apple Music. The last iPod Nano would be perfect. I can't pay 199$ to play my Apple Music, they should have some less expensive way. They should have some 49$ WIFI only no Apps iPod. All people who run, do they use Apple Watch or iPhone? I know there might not be a big market for 49$ iPods, but still. My 33 year-old son is Autistic and is non-verbal. He uses his iPod Touch for communication. I know there are many other individuals with disabilities who use iPod Touches. It would be a shame if Apple were to discontinue it or to stop doing basic upgrades. My son also uses his iPod Touch for entertainment. He likes the old style Disney animation and I have downloaded a number of animated movies for him. In addition, he likes some of the basic games an animated read-along books. My son also has an iPad but the iPod Touch is of course much more portable. I have put the iPod Touch in a waterproof case with a lanyard and my son can simply put the lanyard around his neck when he leaves the house. Still wish Apple had continued to make the iPod Shuffle. That was the only iPod worth using for running and exercises. Strangely, I never bought an iPod Touch, despite my perchance for buying at least one of each Apple product! The last iPod I bought was the 160 GB iPod Classic. It served me very well and is still in top condition, as is my first Apple purchase - the 3rd generation iPod. With the iPhone now sporting 256GB, the iPod Classic is taking a long break!